Dover Academy continued their unbeaten start to the National Youth Alliance League season with a crushing 10-0 win against visiting Eastbourne Borough at Abbey School. Josh Spencer, Marshall Wratten (pictured above) and Matty Robinson all scored twice as coach Mike Sandmann’s young side wrapped up their fourth consecutive league triumph in style. An own goal put Dover ahead before Spencer’s double and one from Robinson and Jack Cussen made it 5-0. Dover keeper Lewis Mitchell then pulled off a great save just before half-time to deny Eastbourne reducing the deficit. Man-of-the-match Wratten struck twice after the break with Kieran Smith, Robinson and Jordan Bartlett all getting on the scoresheet. Matty Robinson scored twice as coach Mike Sandmann’s Academy side won the National Youth Alliance League at Ebbsfleet 3-2. The victory keeps the talented young side unbeaten in their league campaign. Robinson fired his side into an early lead before the hosts struck twice to be ahead at half-time. 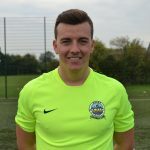 Substitute James Belcher equalised after slotting home after his initial effort had been parried by the goalkeeper. Dover sealed the win after Ryan Kingsford’s pass set Robinson clear to fire home the winner. 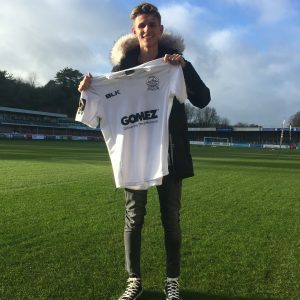 Joshua Spencer was Dover’s man-of-the-match. Coach Mike Sandmann’s Academy side remained unbeaten in the National Youth Alliance League after beating Hastings 4-2 at Crabble on Wednesday. A double from Josh Spencer and one each from Ryan Kingsford and Matty Robinson secured the win, a second consecutive league win for the young Whites. Man-of-the-match Spencer scored from close range to give his side a 1-0 lead at half-time before the visitors leveled just after the restart. Robinson restored Dover’s lead before Spencer added a third and Kingsford made it four. Hastings reduced the deficit from the penalty spot but it was too little, too late to prevent Sandmann’s side from registering another win. Dover: Harry Earls, Jack smith, Josh Spencer, Tom Bond, Jordan Bartlett, Lyndon Dixon, Shusanta Rai, Marshall Wratten, Matty Robinson, Jack Cussen, Ryan Kingsford. Subs: Lewis Mitchell, Jake Creed, Kyron Connolly, Jamie Chamberlin, Felix Medquita, Harrison Avery. Coach Mike Sandmann’s Academy registered their first National Youth Alliance League win of the season after beating Maidstone 3-2 in the Kent derby at Crabble on Wednesday. Jack Cussen, Ryan Kingsford and Jack Smith scored the goals to secure the win against the defending champions. Dover opened the scoring after Kingsford slotted home Jordan Bartlett’s free-kick. They doubled the lead through Cussen following some impressive build-up play between Shusanta Rai, Smith and Marshall Wratten. Man-of-the-match Smith added the third after half-time before the visitors struck twice to reduce the deficit. But Sandmann’s side held on to earn three points and remain unbeaten this season after drawing against Bromley in the first game. 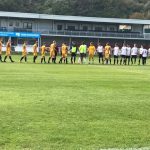 Dover Athletic’s Academy side will start their FA Youth Cup campaign with a home tie against Cray Wanderers next Wednesday (October 4th) at 7.30pm. Come and support the young Whites in the Second Qualifying Round at the reduced admission price of £3 while under 11’s are free. 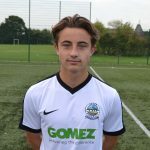 Matty Robinson scored twice as Dover Academy started their National Youth Alliance League campaign with a draw against visiting Bromley in Faversham on Wednesday. Coach Mike Sandmann’s Academy opened the scoring after Robinson (pictured) slotted home Jordan Bartlett’s pass after Ryan Kingsford had won the ball for his team. Dover held their lead until after half-time when Bromley struck twice. Sandmann’s side continued to create opportunity after opportunity but couldn’t make that pressure pay until man-of-the-match Robinson got on the end of Marshall Wratten’s defence-splitting pass to equalise. Coach Mike Sandmann’s Dover Academy swept all before them as they won the KOMM MIT international football tournament, the Copa Cataluna, on Thursday evening. Sandmann’s youngsters did it in style too, going through the tournament undefeated after winning four of their five games and drawing the other 0-0. They also did it without conceding a goal. The Academy lifted the trophy after beating the Spanish defending champions 3-0 in the final with Jack Smith, Jack Cussen and Joshua Spence scoring the goals. To cap off a memorable week, Ben Cardwell was named Player of the Tournament. Cardwell finished Dover’s leading scorer with four goals to his name. Not surprisingly, Sandmann was thrilled the the performance of his young squad. He said: “They adapted to the new conditions they were playing in and it was a real credit to them for the way they performed. “To go through a tournament, let alone a game, without conceding a goal is a fantastic effort. Well done to each and everyone of you!! Jordan Bartlett and Marshall Wratten scored the goals as Dover Academy came from behind to earn a share of the points with Conference Youth Alliance League leaders Maidstone United Ambers. Maidstone opened the scoring early in the first half before Bartlett (pictured above) headed home the equaliser following good work by Tom Bond and Wratten. 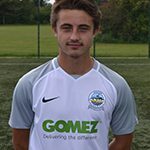 Mike Sandmann’s Academy took the lead in the second half after Wratten pounced on a back pass from former Dover player Tom Carlton before finishing past the Maidstone goalkeeper. 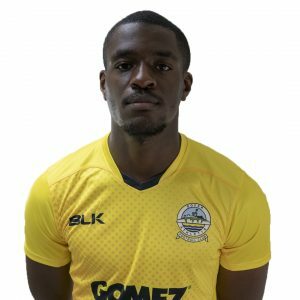 Maidstone got back on level terms with 15 minutes to go before Bartlett went close to scoring a winner, seeing his lob beat the goalkeeper only to hit the bar. 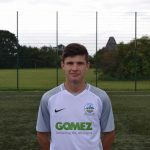 Matthew Robinson’s goal proved the difference at Mike Sandmann’s Academy beat their Ebbsfleet counterparts 1-0 in the Conference Youth Alliance League. Sandmann’s young side had not played for three weeks, so it was a great win against their Kent rivals. The game started slowly and although Ebbsfleet had more of the ball they failed to carve out any real chances to worry captain Stan Waller in the Dover goal. Dover made the breakthrough in the 29th minute after Chris Barnard was fouled about 30 yards from goal. Robinson took the kick, it struck the wall and sailed over the Ebbsfleet keeper to give Dover the lead. Sandmann gave the players a dressing down about the lack of intensity at half-time and Dover looked a completely different side in the second half. 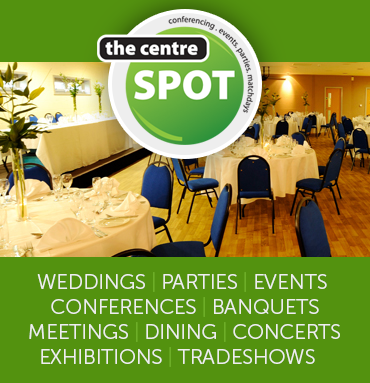 The central defence paring of Joshua Spencer and Kyron Connolly stopped any form of attack from Ebbsfleet. Although Dover started a lot brighter in the second half, they were rather lack-lustre in front of goal and couldn’t find that final pass. 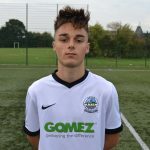 MATTHEW Robinson scored a hat-trick as Dover Academy bounced back from their first home defeat of the season with an impressive win at Lewes. Coach Mike Sandman’s side put the disappointment of the 2-1 loss against Hastings behind them in style in East Sussex. Dover led 5-0 at one stage thanks to first half doubles from Ben Cardwell and Robinson as well as an own goal. Robinson (pictured above) completed his treble in the second half before substitute Jack Cussen added the seventh to complete the rout. Earlier, Dover opened the scoring in the 15th minute after Cardwell slotted home Jordan Bartlett’s corner. Robinson added a second five minutes later with a clinical finish following Connor Miller’s fine run and cross. Cardwell turned provider to set up Robinson for the third before Robinson’s corner was deflected into his own net by a home defender. Dover’s fifth came from Cardwell, who picked the ball up on the halfway line and completed a magnificent run with a clinical finish. Lewes pulled one back just before half-time and another from the penalty sport after the restart, but there was to be no more joy for the hosts. Robinson completed his hat-trick with a stunning half-volley before Cussen scored the seventh.